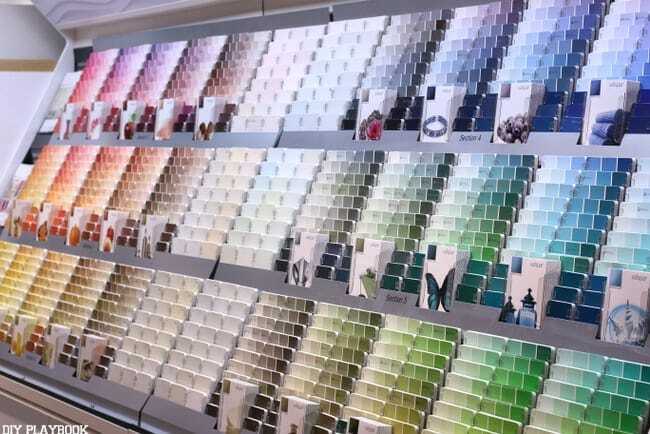 A Paint Buying Guide… what does that even mean?! Great question. Please allow us to explain. 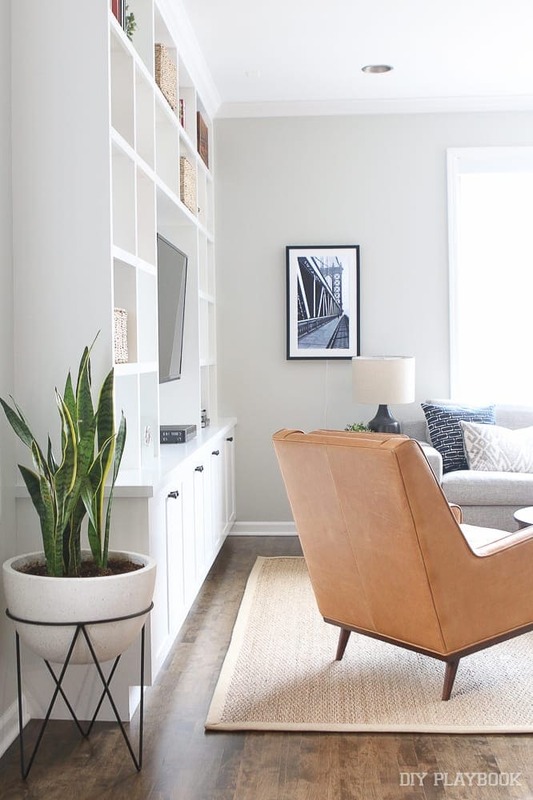 We’re constantly clicking through Pinterest to find our favorite paint colors & are continuously bombarded by gorgeous paint choices within the blogosphere. 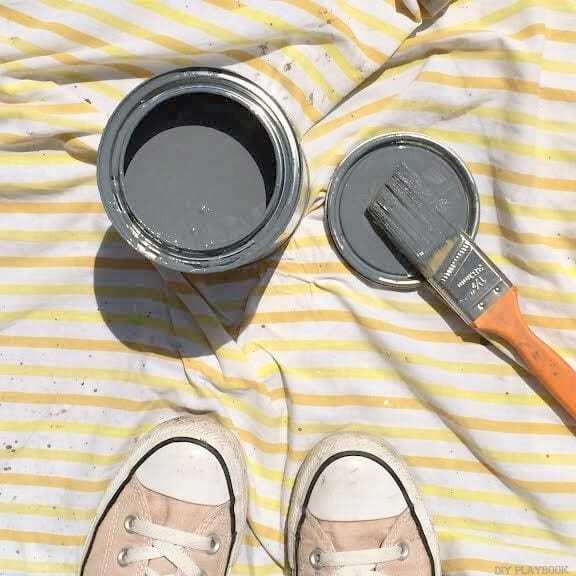 And like good bloggers, we note the color and brand and keep these ideas in our “back pocket” just in case we need that perfect gray, that gorgeous navy we’ve been searching for, or even that crisp white that needs to immediately be added to our DIY to-do list. 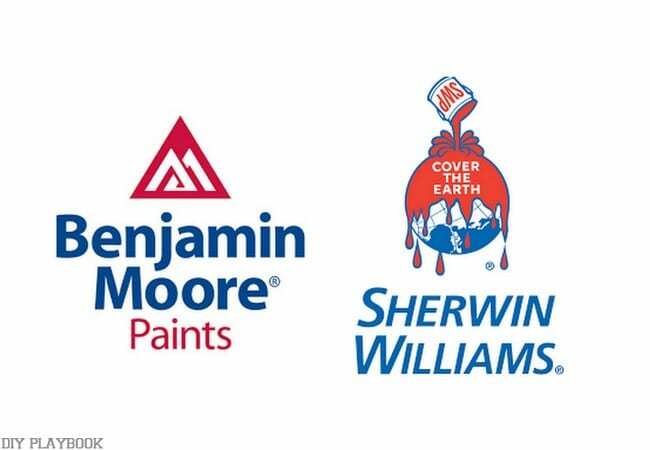 As we review our list later, we see some Benjamin Moore colors, some Sherwin Williams’ colors, some Valspar colors… and this isn’t even everything. We are instantly overwhelmed. 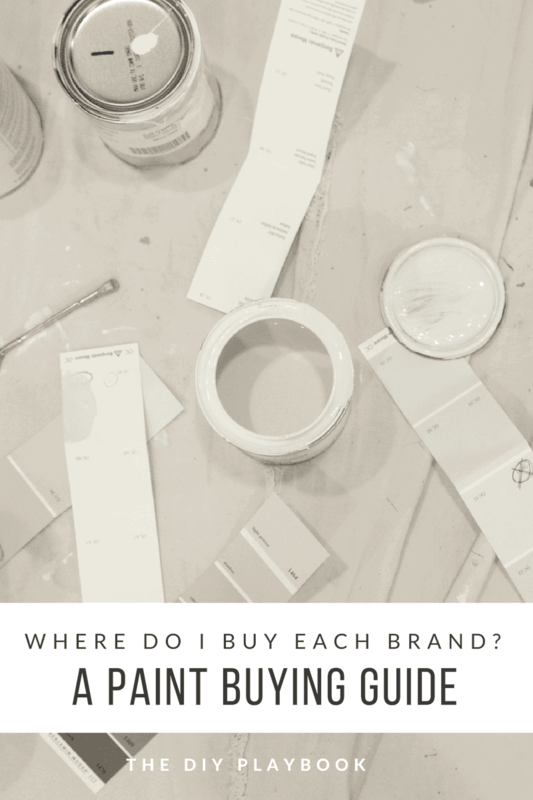 Where do we go to find each of these brands in order to pick up a swatch, a sample, or even a gallon of this color so we can get right to work? HELP! 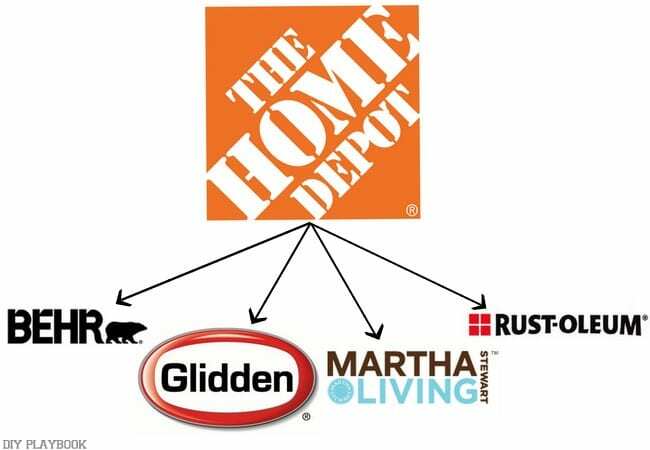 That’s where the Paint Buying Guide comes in. 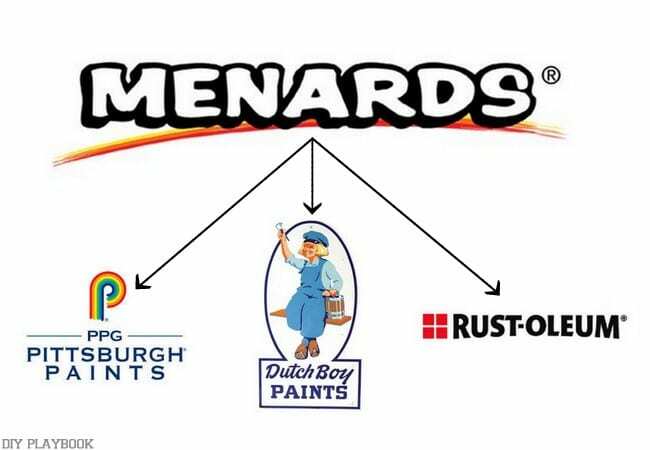 Because we really weren’t sure before, we did some research on where to buy each brand of paint and have used that information to come up with an easy reference guide to help us ALL organize where to find that perfect paint color/brand you’ve been eyeing. Are you ready to break this down? Easy enough right? 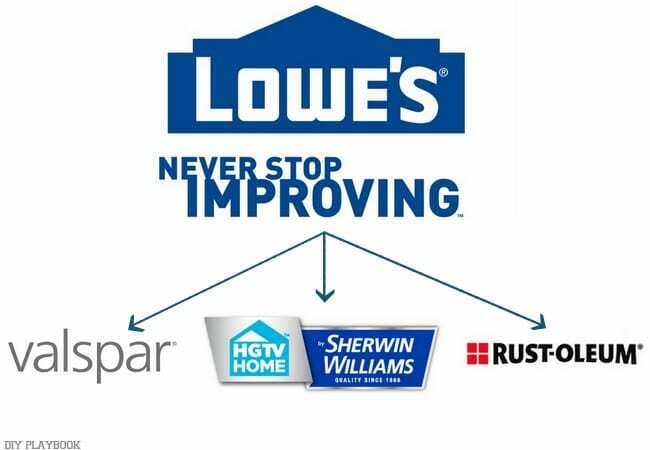 You want Lipstick Red from Valspar, you go to Lowe’s. You want Behr’s Fine Burgundy, you go to Home Depot. 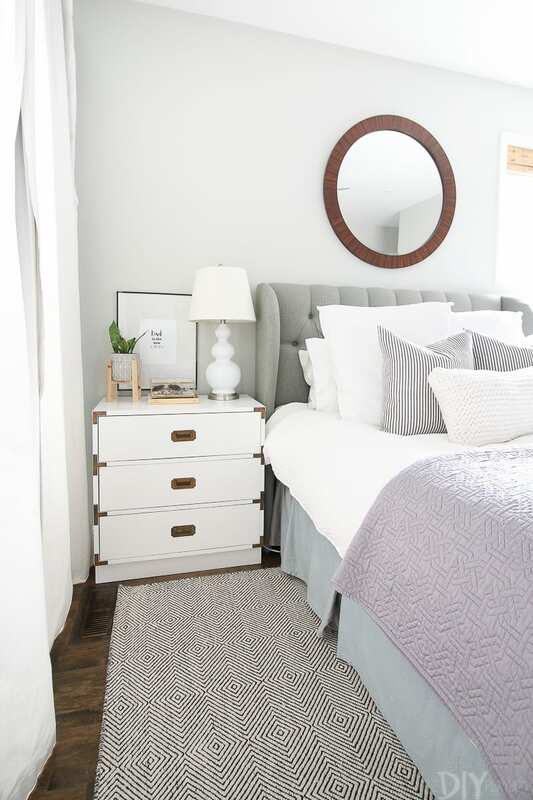 But what if you want Benjamin Moore’s Revere Pewter but prefer to paint with Valspar Paint?? Now, this is where it gets a tad confusing. 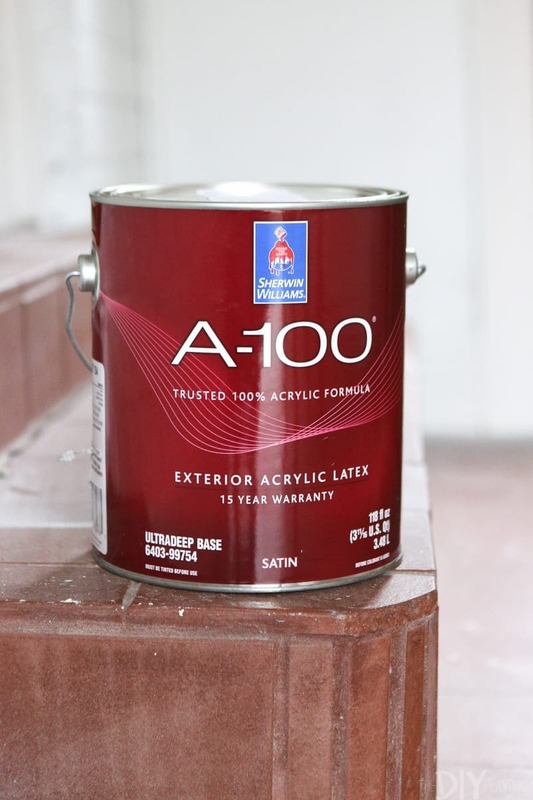 If you LOVE the color from Benjamin Moore but prefer or would like to save money by using Valspar paint, there’s another option for you. 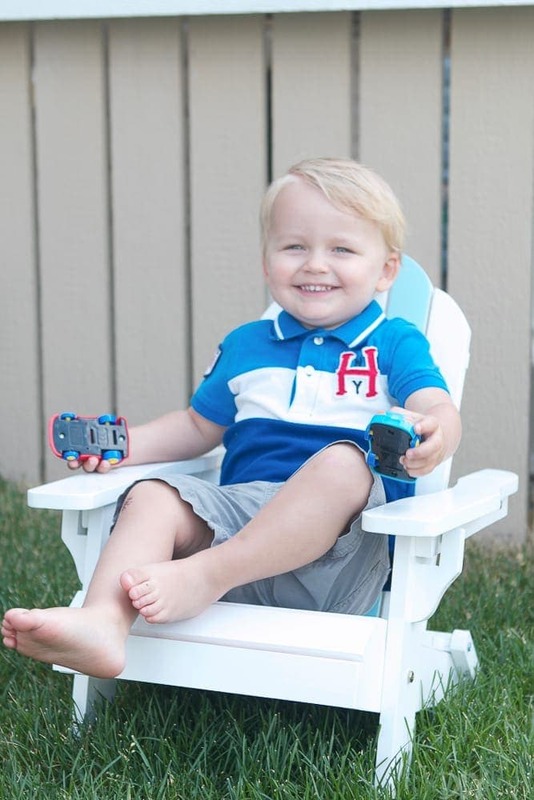 According to our painting expert (thanks, Dad! 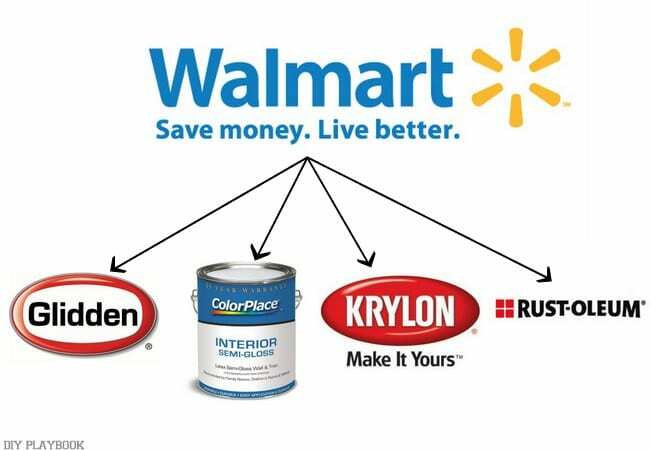 ), 99% of the time you can take the color that you love to the hardware store and they will color match that exact color using the brand you prefer (ie. 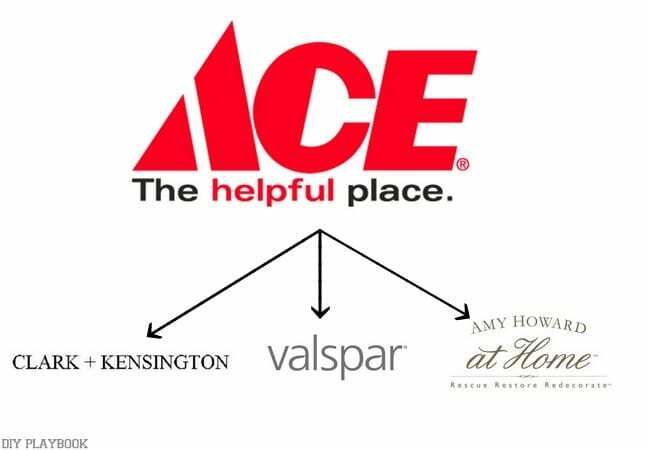 you can use Valspar paint but a Benjamin Moore color). <— Mind Blown. 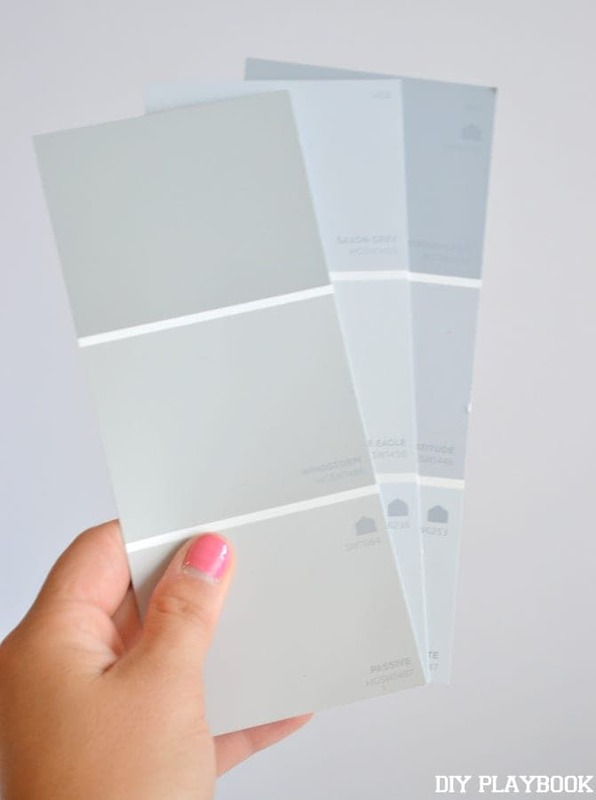 So the next time you note that perfect paint color via Pinterest or the blogosphere, we hope you can reference this guide to see exactly where you go to find a sample of that color. 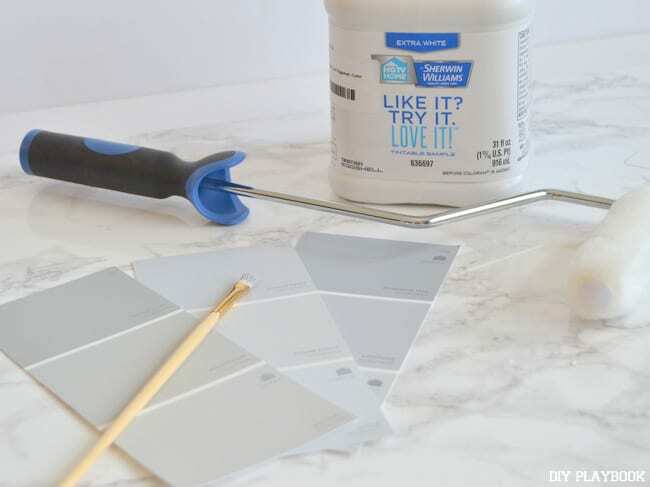 Once you get the sample, you can either buy the gallon right there from that location or take that color swatch to the hardware store of your choice so that you can get the swatch color matched & buy the brand you prefer. Looking for more painting posts? Here’s a list of our favorite paint colors, and here are some tips for choosing the perfect paint color. Happy painting!